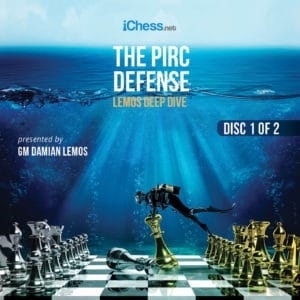 In this comprehensive 8 hour Deep Dive course, GM Damian Lemos builds up your knowledge on one of the most dynamic chess openings for Black, the Pirc Defense. Put your opponents on the defensive with a classic counter-attacking weapon against 1.e4, the Pirc Defense (1.e4 d6 2.d4 Nf6 3.Nc3 g6). With Super GMs like Grischuk, Ivanchuk, and Kramnik adopting this opening, you’re in an excellent company and can enjoy being a master of one of the most exciting opening options available to Black. As well as a huge theory section covering all reasonable setups White might try against the Pirc, GM Lemos shows how these ideas play out in practice through the analysis of instructive games, making sure you’re ready with the most powerful reply! This is a great way to frustrate your rivals who are used to playing their pet lines as they will end up getting lost in the Pirc’s complexities. The Pirc Defense gives you excellent winning chances as it’s a highly flexible, tricky, and double-edged opening with which Black can avoid premature simplifications and confidently go for the full point. Do you want to have a flexible repertoire of chess openings for black that allows you to challenge the best players directly from the opening? The Pirc Defense is what you need. The Pirc Defense is a chess opening for Black against 1.e4 which is named after the Slovenian Grandmaster Vasja Pirc. It has the reputation of being flexible and double-edged, and it occurs after the moves 1.e4 d6 2.d4 Nf6 3.Nc3 g6. You can see this position in the image on the right. It’s important to note that the Pirc Defense can be reached via different move orders. 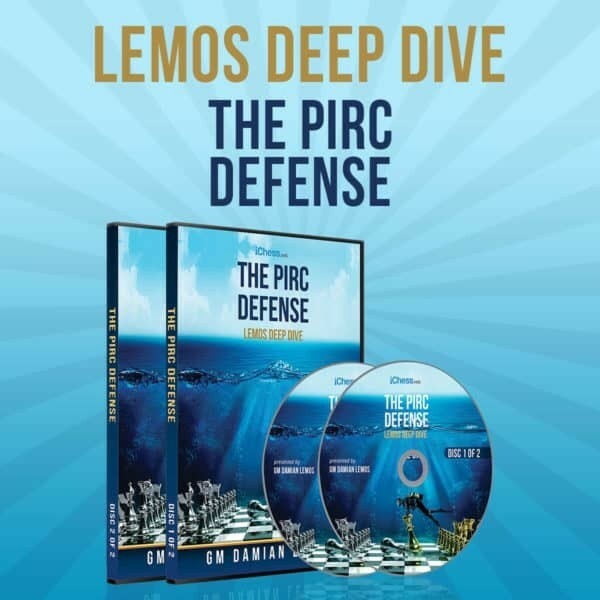 According to GM Lemos, it’s important to enter the Pirc Defense via a precise move order. He suggests the move order 1.e4 d6 2.d4 Nf6. 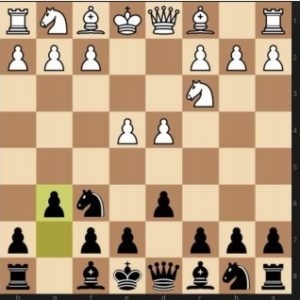 Black’s knight attacks White’s pawn on e4 and forces White to react. After 3.Nc3 Black plays 3…g6 and reaches the Pirc Defense. White can also play 3.f3 or 3.Bd3 to protect the pawn. GM Lemos covers these rare sidelines at the beginning of his course. Other move orders like 1.e4 g6 2.d4 d6 allow White to play other moves than 3.Nc3 (for example 3.c3 or 3.c4) as the pawn on e4 is not attacked. The Pirc Defense is a hypermodern opening. This means that Black does not try to control the center early on with his pawns, but spends some time fianchettoing his dark-squared bishop and only then attacks the center. queenside Pawns. To put it into a simple formula: Black first leaves the center to White and then tries to conquer it back due to his better development. Many positions in the Pirc Defense promise Black more active play than in most other openings. Black is able to enter unbalanced positions, which allows him to aim for more than equality with the Black pieces. Black can avoid premature simplifications, keep many pieces on the board and go for the full point. Therefore, the Pirc Defense is the perfect weapon for players who like chess openings for black that provides a complex strategic fight with the Black pieces!